In 1974, director Tobe Hooper revolutionized horror with his film “inspired by a true story,” THE TEXAS CHAINSAW MASSACRE. 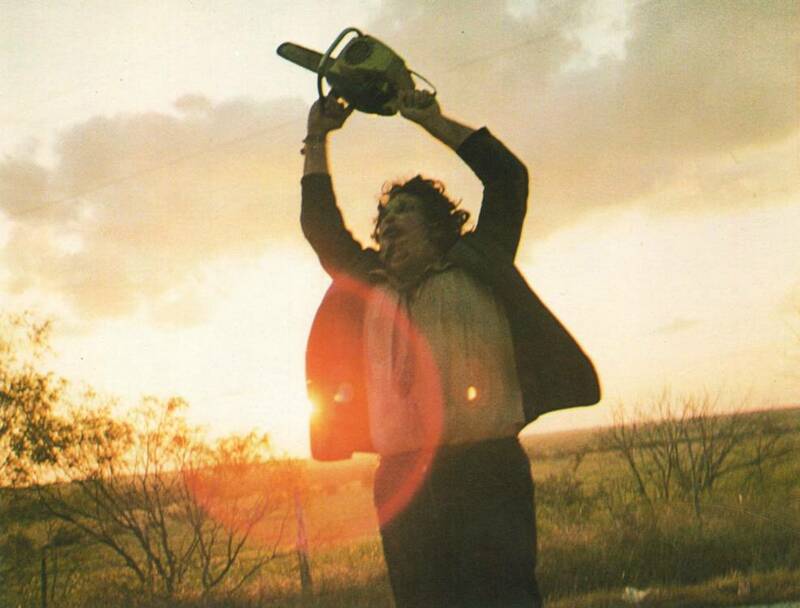 Almost immediately after the film’s release, rumors began to circulate that there was an actual chainsaw wielding madman living with his deranged family in the town of Poth, Texas. The inspired events were also said to have taken place on August 18th, 1973. However, a quick check of that date reveals that the film had just wrapped four days’ prior, making it fairly difficult to base a film on an actual event that had yet to occur. Despite this, there was an actual skin-wearing maniac that was the film’s inspiration. He may not have had a chainsaw, but serial killer Ed Gein was a key inspiration for the infamous Leatherface. 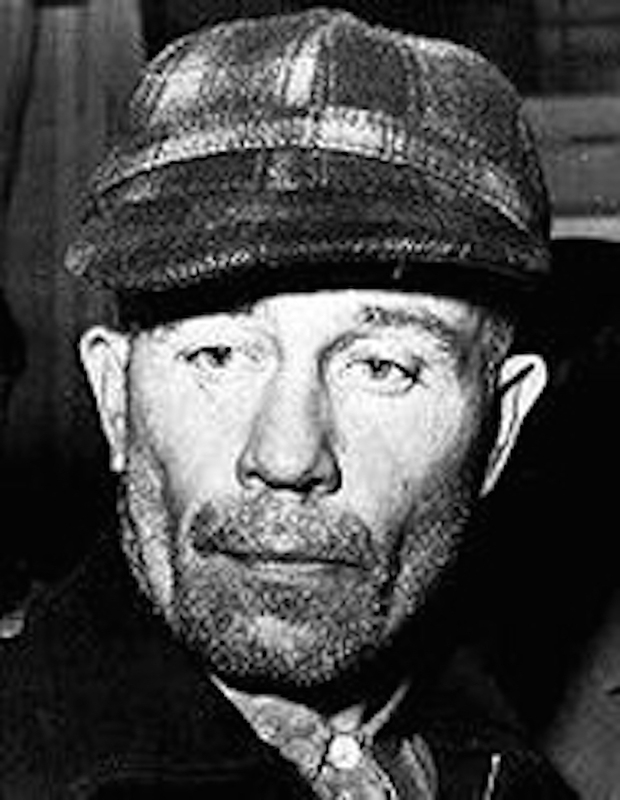 Born in 1906 in Plainfield, Wisconsin, Ed Gein lived most of his life as a reclusive loner. 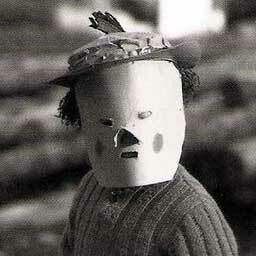 Born to an alcoholic father, George, and a fanatically religious mother, Augusta, Ed Gein suffered heavy psychological and physical abuse at the hands of his parents. Classmates remember Ed as being reclusive with strange habits. One of his most unnerving habits was to randomly laugh out loud as though someone had told a joke that only he could hear. A severe alcoholic who could not hold a job, Ed’s father, George, was despised by his wife, creating a heavy amount of tension in the home. Augusta’s strict biblical teachings were extremely instrumental in shaping Ed’s attitude towards women. Fond of preaching from the Old Testament, Augusta instilled the fear of God as well as a fear of sexuality and a general mistrust of women in Ed and his brother Henry. Hidden away on the family’s secluded farm, the family kept to themselves. Both Henry and Ed were strictly forbidden from having visitors and were punished for even making friends. The brothers were also reminded on an almost daily basis that they would never be loved by a woman. George died on April 1, 1940 of alcohol-related heart failure. Four years later, brother Henry would die under mysterious circumstances revolving around a fire on the family farm. Although never proven, many suspect Ed played a role in his brother’s death. 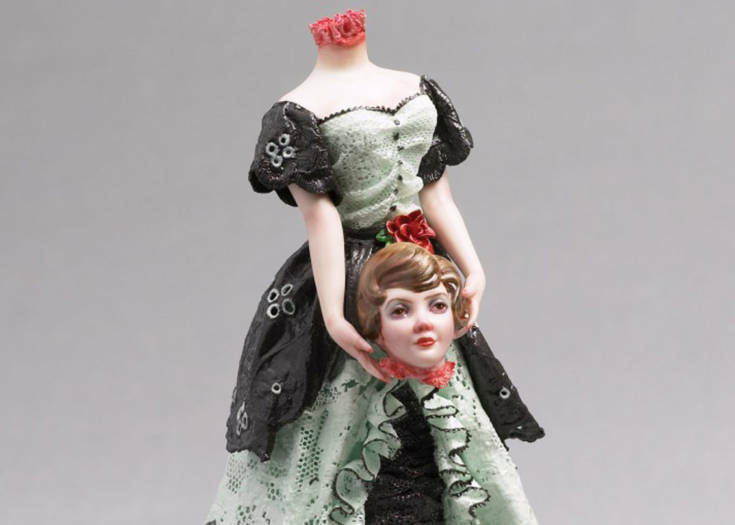 Regardless, this left Ed as the only outlet for his mother’s insane devotion until her death on December 29, 1945. Despite their abusive relationship, Ed was devastated by his mother’s death. Ed remained on the family farm, boarding up his mother’s room to ensure that it would remain just as she had left it on the day she died. Confining himself to a room off of the kitchen, Ed became obsessed with reading about Nazis and cannibals. Ed took odd jobs but remained reclusive and unsuspecting. The full extent of what he was up to on his family farm would not be revealed until over ten years later. After the November 16, 1957 disappearance of hardware store owner Bernice Worden, police began to suspect Ed, who was the last person to see her alive. Police searched the family farm where they found Bernice’s decapitated body hanging upside down inside the barn. On a further search of the property, authorities also found various human remains including a trashcan made out of a human skull, chairs covered in human skin, and skull bedposts. Perhaps the trait that mostly links Ed back to Leatherface was his fondness for turning human skin into apparel. Among the other remains, the police also found a corset, leggings, masks, and a dress all made from the skin of young women. Ed was arraigned on November 21, 1957 where he pleaded “not guilty” by reason of insanity. Found mentally incompetent, Ed was sent to the Central State Hospital for the Criminally Insane. On November 7, 1968, doctors determined that Ed was capable of standing trial, and he was found guilty on November 14th. However, a second trial regarding his sanity found that he was once again not guilty by reason of insanity. Ed was the returned to the Central State Hospital for the Criminally Insane where he died on July 26, 1984. He was buried at the Plainfield Cemetery where his grave was routinely vandalized. Ed Gein found himself the subject of many interpretations. 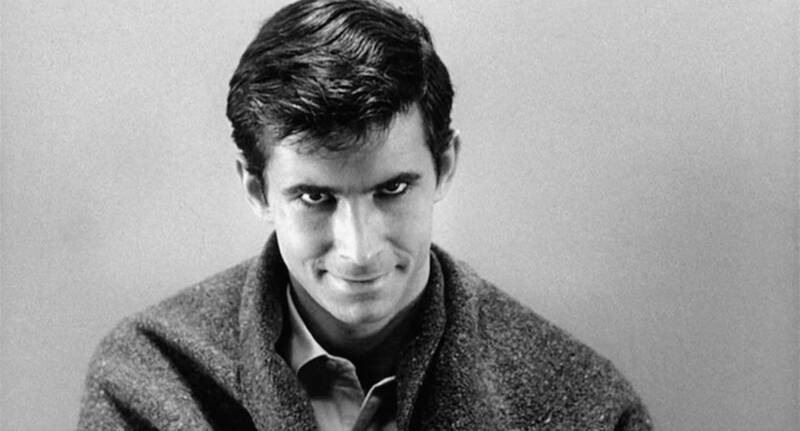 Robert Bloch used him as inspiration for his 1959 novel PSYCHO, which went on to be adapted for the screen in Alfred Hitchcock’s 1960 film of the same name. Ed also went on to see his likeness portrayed in the 1974 film DERANGED, as well as in Rob Zombie’s HOUSE OF 1000 CORPSES and THE DEVIL’S REJECTS. Yet, the isolationism, the overbearing nature of his parents, and Ed’s desire for accessorizing in human flesh will always most notably connect him to Leatherface. Why Are These Creepy Baby Heads Appearing All Over Denver?